A bedroom is the most happening room in the entire house. It is a place where you can relax, sleep for hours, rest the body, watch television and enjoy some personal time. With increasing fashion and design in the world, people love to design their house according to their choice. Many people who cannot design their houses often love to design and arrange their bedroom according to their taste and preference. In olden days, the houses used to be big and open with verandahs and halls. But, with evolution, people prefer constructing small and clean houses which look appealing with small rooms and nice placements. But, no matter, if the house is big or small, open or congested, there is always a master bedroom for the owners to sleep in. Constructing the master bedroom according to the rules of Vastu Shastra brings health, happiness and wealth in the house. 1. •	Placement: As per the Vastu Shastra, the master bedroom must be in the south-west direction, and the head of the family must occupy the room. In case, the house is multi-story, the best direction is to the south-west on the top floor, and it must be bigger than any other room in the house. 2. •	Placement for the Bed: There is always a bed in the room, and when it comes to the master bedroom, people usually puts a king-size bed to sleep and relax the body. According to Vastu, the perfect place to keep the bed is south or west wall of the room so that the head lies in the south or west direction and the legs are in north or east direction. 3. •	The direction of the body while sleeping: Vastu Shastra also gives some guidelines on how to sleep in the room. •	Legs towards East: Sleeping with legs on the east side brings the name, reputation and richness to the family. •	Legs on the west side: Many people have a habit of sleeping with legs on the west side, well, for those Vastu benefits spirituality, mental harmony and peace to life. •	Legs towards North: If a person sleeps with legs on the north side, prosperity and opulence follow. •	Avoid Southside: Vastu Shastra says that it is always best to avoid sleeping with legs on the south direction as it will lead to bad dreams, heaviness in mind and chest, bad thoughts and bad sleep. South direction is known to be the side of Lord of death and sleeping in that side increases mental tension, anxiety problems, mental diseases and early death. 4. •	Avoid corners for the bed: The right place to place the bed is in the center. Many people find it easy to place the bed in the corners as it is near to charger points but according to Vastu, corners are considered unsuitable. Even, the master bedroom should only be used by married couples as it strengthen the relationships and bring harmony in the family. 5. •	Direction for the changing room: Nowadays, there are changing room, bathroom and dressers attached to the room. The best place for these rooms is the west or north side of the room. Also, the bathroom should not directly face the bed, and the door of the bathroom must be closed all the time. 6. •	Entrance to the Room: Make sure the entrance of the room is in east, west or north side of the walls. Avoid south direction, and there must be a single door for the entrance which must be smooth enough that does not make any noise while opening or closing. 7. •	Things to Avoid: Avoid mirrors, television, laptop, computer and big gadgets in the bedroom as they take away the harmony from the room. Try to put a mirror in the dressing room, in case; there is no dressing room then you can place the mirror along with a dressing table. If there is no dressing table, Make sure the mirror does not reflect any part of the body while sleeping otherwise the same part will catch some disease. Any plant, fish aquarium, or any other life forms is a big ‘’No’’ for the room. 8. •	Wall decors: Hanging a beautiful, peaceful and serene painting or wall hanging is considered auspicious for the room. Make sure there is no painting or statue in the room that reflects violence or war. 9. •	Room for Children: According to Vastu Shastra, the perfect direction for the children’s room is on the east side of the master bedroom. You can lay beds in the children’s bedroom in a south-west direction so that the head of a child is in east or south direction. 10. 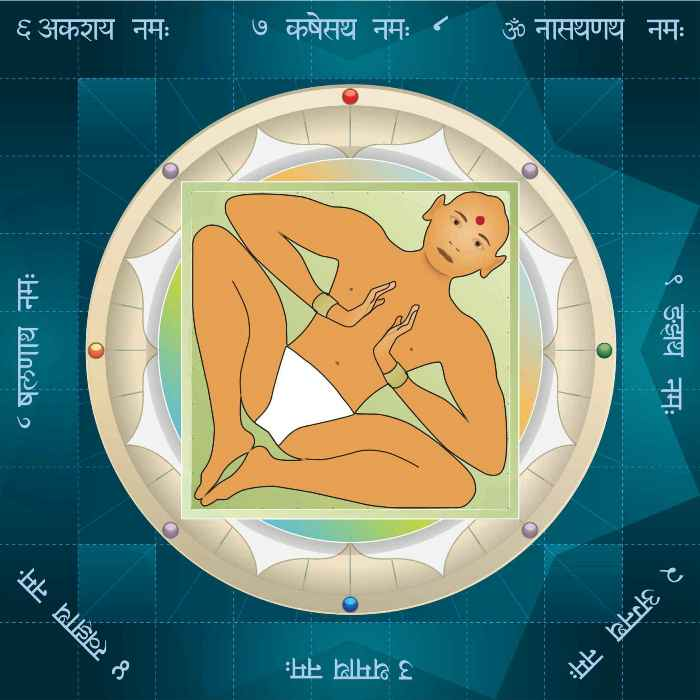 •	Directions to Avoid: Vastu Shastra strictly denies south-east direction of the house for bedrooms as it encourages unnecessary fights in the family, inefficient expenditure and a lot of difficulties for the couple. Also, the north-east direction is for deities, having a bedroom in that direction causes mishaps, diseases and long-term problems in the family. 11. •	Colours and Stones for the bedroom: The most appropriate colours for the bedroom are light rose, grey, blue, chocolate, green and other light and positive shades. Avoid marble stones especially yellow and white coloured for the newlywed couple. You can also install bagua in the bedroom to keep the negativity away from the bed.